WPI, my alma mater, now has a year round track and field coach. I pushed for that the last several years I was at college because I realized the importance of that contact. Running is a simple sport. Yet I had to learn many of the details on my own because access to a coach was limited. I had plenty of opportunity to ask questions, and I did, yet at 11 AM on a Wednesday when I thought of something, my coach would be at his job. I always envied the other sport players would go hang out with their coach between classes. There is a certain education and motivation that is derived from a coach. The more I understood my sport the better I became. The more I knew my coach the more I understood his methods, and the better I became. More important than the facilities athletes have, it is about the people the athletes have. I remember distinctly one morning at about 8:30 AM I was working out in the morning, alone, and the basketball coach was working with one of the basketball players one on one in our dusty old practice gym. It was just the two of them, and I think that the basketball player was mostly just shooting free throws. It's not just about the shooting hoops, they were also talking about the most recent game. They were talking about ways to get better. They were probably talking about life in general as well. First, there is the thought. A coach can provide many athletes with the thoughts and the talking as well as a way to accomplish the doing. It seems simple, but without some direction most athletes at my former college, or at least runners, would never think of getting to nationals. They wouldn't even realize that nationals exists until their third year running with us and if you haven't made the commitment to work hard to get there by that point you will probably not go. Now with a coach around all the time I am hoping that that seed of greatness will be planted early in their career. Instead of first and second year student athletes dwelling on their suffering compared to high school they might be thinking of goals, and what it takes to get there. For example, take two runners. Both raced about the same in high school and ran about 40 miles per week. Now it takes a whole lot more than mileage (workouts, injury resistance, mentality, attitude, etc.) to make a good runner but for the sake of simplicity that's all I'm going to talk about. Both runners get to college and their first week they each run 50 miles. Runner A immediately gets stressed out because classes are hard, the running is hard, he is away from his old friends and family, he used to be one of the best on the team now he is not even in the top ten on his new team, and he really only sees the older runners when they run a workout and they are so much faster. Runner B on the other hand is talked to by the coach as soon as he gets to college. The coach tells him to relax and be patient. He says it takes several years to develop as a runner so he comforts the young runner through lackluster workouts and even races compared to what the runner did in high school. The coach continually reminds the runner to be patient and just keep showing up every day. The coach schedules a meeting with Runner B so that they can just talk. Sort of a counseling session where the runner talks not only about running but also about missing his old friends and the classes which are harder than he expected. Runner B leaves feeling refreshed and more comfortable on the team. The next year Runner A struggles again having never really even done the freshman workload. He skips practice from time to time and runs the same times in workouts and races that he did as a freshman. He still has trouble maintaining 50 miles per week. 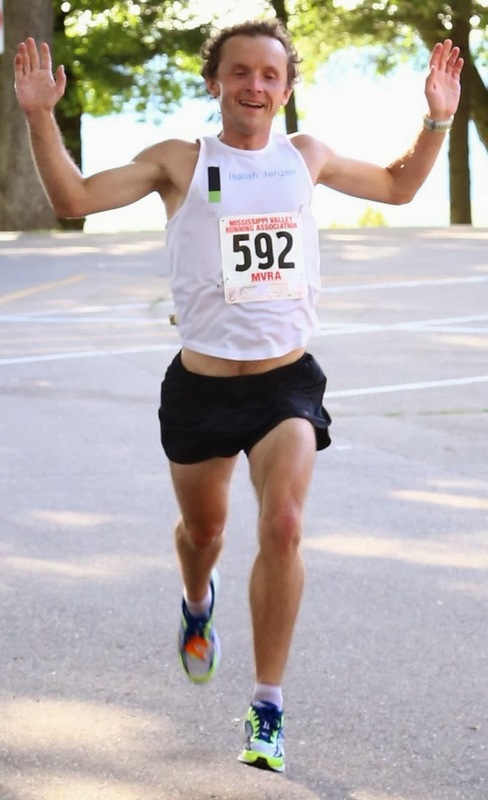 Runner B upped his mileage during the summer to 65 miles a week and when he gets back to school in the fall is now possibly looking at a spot on varsity (top seven runners on a cross country team). The trend continues and by their fourth year Runner A is running faster than he ever has because he adjusted to college finally. He places well in some smaller races. Runner B has developed every year, despite missing some time running due to injuries because he didn't listen to the coach all the time. He is trying to qualify for nationals and coming pretty close. It also self perpetuates. A coach who develops some mediocre athletes into good athletes will be recognized by high school recruits. Then several good athletes will come to the program and develop into national champion caliber athletes. Good athletes will continue to come because they see the national champions on the team and want to be that good themselves. The point is, I have seen my team, my friends, take a number of steps both forward and backward over the last half of a decade and this is by far the biggest step forward in recent history. I am very excited to hear how the school year goes. First off, good luck on your interview! I completely agree with your assessment of the necessity of a full-time track coach. I also think the man they chose is the man for the job.